M. Kathleen Kern has been appointed incoming editor of RUSA’s Reference and User Services Quarterly (RUSQ) journal. Kathleen began as editor-designate in early February and will assume the position of editor on July 1, 2018. She is currently Director of the Miller Learning Center at the University of Georgia Libraries. 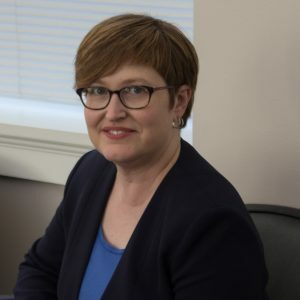 Kathleen has published widely, including a book, multiple peer-reviewed articles, book chapters, and other articles, and has worked as an adjunct instructor for the library schools at both the University of Illinois at Urbana-Champaign and Rutgers University. Kathleen previously served as a column editor (Accidental Technologist) and a member of the RUSQ Board, as well as an occasional referee for the journal. She is also a past president (2013-14) of RUSA. Reference & User Services Quarterly is the official journal of the Reference and User Services Association of the American Library Association. Its purpose is to disseminate information of interest to reference librarians, information specialists and other professionals involved in user-oriented library services. Sincerest thanks to the hiring committee, Heidi Jacobs, Kate Kosturski, Scott Seaman, Erin Shea, Mark Shores, and Neal Wyatt, and Barry Trott for their thoughtful work to place the journal in good hands. Kathleen and Barry will work together over the next few months to ensure a smooth transition. Please join us in congratulating Kathleen and welcoming her back to RUSQ!